CDC #390 – International Justice! 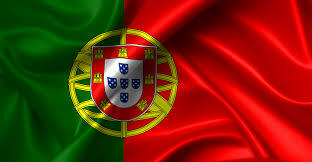 Your Character Design Challenge thus week is to use HM3 to create a hero inspired by Portugal. This contest will close at noon Eastern on Monday, November 26th. 6 Responses to CDC #390 – International Justice! For this week’s challenge I decided to create a futuristic space opera reimagining of the greatest Portuguese epic of all time: The Lusiads. Meet Admiral Vaz-Kor Gamma, the commander-in-chief of the interstellar cruiser Viriatus. Born in the Great Galactic Portuguese Empire in the 24th Century, Gamma travels the galaxy in search for new planets and cultures. 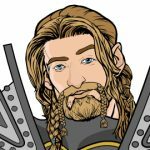 Aided by the cosmic gods, the admiral has faced many adventures, like his fight against the gigantic alien Adamastus and the discovery of the Machine of the World, a computer that holds the source code for the Universe. I have to admit, this one had me stumped…I had no idea and no inspiration at all. lol But, finally put one character together. Marcelina Pinheiro’s past as most Superheroes go, once was pastoral and peaceful, one night bandits came and destroyed her village and life. Due to this, she petitioned her Goddess for vengeance against those who wrong her. 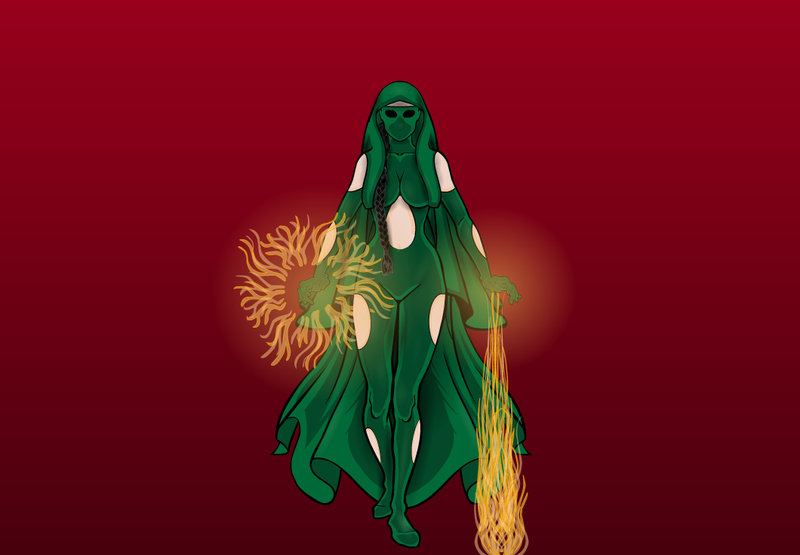 The Goddess bestowed upon Marcelina the power to draw energy from the Forests and Earth, in return for this ability, the Goddess took away her physical sight. She donned a costume and became Bruxa Vingadora, finding those who wronged others. Drawing energy or impressions from forests and the Earth, she can track anyone, anywhere they may run. She also uses this ability to “See” around her. When she does come upon those who wronged others, she can mentally use the energy to harden her body to a rock state, impervious to most bullets and bladed weapons, her weakness is the Axe. 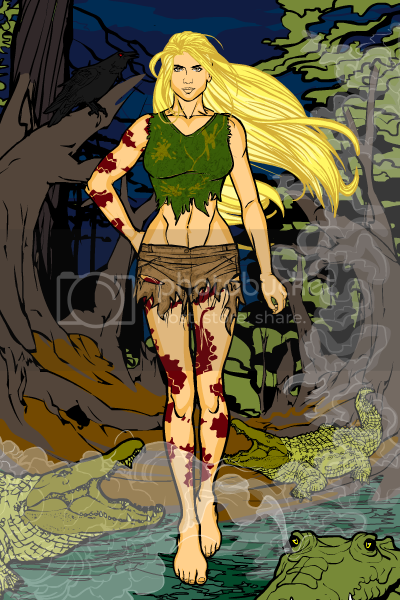 When wounded she can Heal instantaneously provided she has contact with a Pure Earth area or a Forest. She is also able to teleport anywhere there is a Forest of Pine Trees, melding her Soul with a Pine Tree and reaching anywhere she needs to go provided there is a Pine Forest in the vicinity. She also does bounty hunting for income when funds are needed for transportation when no Pine Forests around. When not bounty hunting or on a vengeance trail, she can be found in the Ancient Pine Forests of Europe. He was born with a gift that gave him the ability to predict other’s movements and be able to counter them. In other words, he is able to adapt to any threat and able to either defend or attack in a way best effective to his well being. He is a well established brawler, gymnast, and tactician. 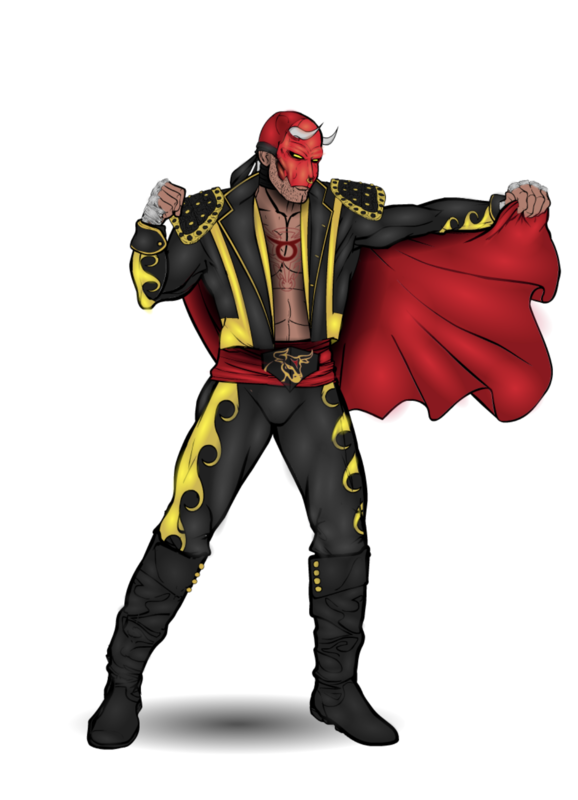 The Matador is able to defeat many enemies by learning, understanding, and predicting their moves within seconds of sensing danger. His body adapts to the required flexibility, durability, and quickness to achieve appropriate success in defense or evasion. With these skills, he was a world champion boxer which he deemed too easy and unfair. He took his skills further for entertainment in bullfighting. Being a national and worldwide phenomenon, he was able to adequately provide for his family. However, fame and money did not make him happy. 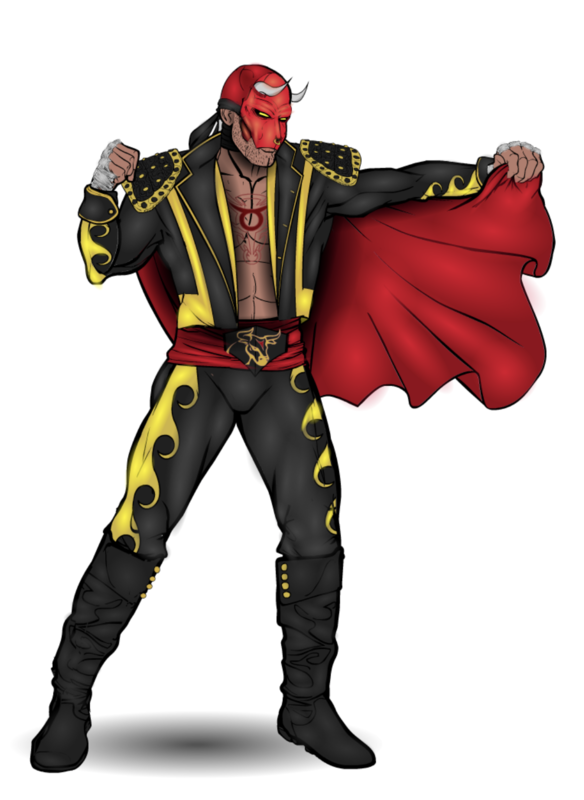 He later disappeared without a trace and years later returned as a masked vigilante, using his abilities as a way to inspire and restore justice.